A lot of people ask me about bounty hunting. I post a lot of them in broadcasts and they are just plain curious how I do this so well. The answer is always patience. I use the term hunting for a reason. Most people who go out hunting just don’t walk into the woods and immediate see what they are trying to kill. It takes time, and the conditions have to be right, and they need some plan old luck too. Bounty hunting on mobsters is no different. You have to be patient and wait for your target, you have to know what you’re hunting for before trying, and you need to be aware of the conditions in which your target exists. With that said I should continue with our lesson. 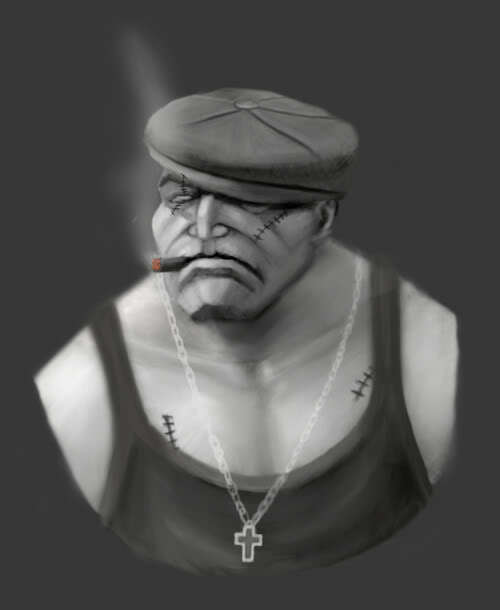 If you are starting a new level one mobster that you want to make a hunter there are a few things worth mentioning again. You should not fight one the regular fight list. It will ultimately result in lost cash for you and missed bounty attempts. If you fight on the fight list you will get attacked. When you’re attacked you lose health from the attack and then the cost of healing. If you never fight from that list you will not get attacked. You may get the random puncher that come to you because you were the last one who touched before they died, but you better get used to it. You should also be weary of missions. You may have to do a few to get an account open at the mobster bank, but generally try to stay away from them. The focus on these low level bounty hunters is to stay as low in level as possible. Being a lower level you see more opportunities and they get less each time you level. Each time you complete a mission you get experience points and they make you level faster. If you have a level 10 hunter with a billion dollar bounty you are virtually untouchable. No on eon that level can afford you, you have the income for all the best weapons, and the cash to kill anything that move. When you decide your ready to start hunting you need to train yourself to move fast, while reading the information in front of you at a fast pace. It will seem hard at first, but the more you try the better you will get. I suggest you land on the hitlist and just click refresh and look at how the hits are presented how long they last and such. Don’t bother attacking yet. You will see a few things right to start with. You will notice that the real hits don’t last very long. You may also notice that a hitlist rider can show up one time, you refresh just to disappear and then reappear the next time you hit refresh. Where did they go? There is a very simple explanation. There is more than one server showing the hitlist results. You are seeing each time you refresh results from the different servers. If you continue to click refresh you will slowly start to notice little differences like these and b able to react accordingly. As a general rule you should only attack targets that are new to the hitlist unless you are going bot hunting and specifically trying to kill an account using software. After a while of hitting the refresh button you should be able to see the amounts and the levels as well as the time they have been on the list and make a fairly good decision on what to hit first. You should try to stay in your range of level so you can cause a reasonable amount of damage. What I mean by this is you shouldn’t at a level 10 attack 100 and think you can win. At the same time do not be afraid to attack higher levels. The more you try to make a bounty hit the more trained you will become. If you continue to try you will make yourself a bounty hit and make the big score on the cash. The more you try to more you will win. Where the patience comes into play is that when manually hunting you are competing with bots that are attacking at the same time you are. That’s not to say you won’t win because you will but you have to be sharp. I can on an average, with 6 stamina, collect at least two bounties each attempt depending on the level I am hunting at. Be sure to read the tips and tricks section in later sections to make hunting a more productive experience. Now that you have seen how the list changes and presents it targets you are ready to start collecting some bounties. The first thing you need to remember when attacking your target is only new bounties. I mean attack only the once who have been on the list for no more than 1 second. At first you will see a lot of xxxxx has already been whacked. This is completely normal. The more you try the faster you will get at hitting the attack button. A very useful tool for you to use is a scrolling mouse. That will help you when the hitlist gets full with riders in the late evening hours. The faster you get as you keep trying will be actual attacks, wins and loses. This is a normal achievement, and is an indication that you will soon make your first bounty and get the reward from the godfather. This is just the first of many to come. If you are a low level just starting out with a fresh level 1 account, it would be my advice to only attack $8,000 bounties until you get money to heal yourself. This is an important to factor for our new mobsters.